For God so loved the world that he gave his one and only Son, that whoever believes in him shall not perish but have eternal life. What are your choices? Whom are your choices for? Not just for yourself. Chose now whom you will serve, and that choice is going to affect the next generation, and the next generation, and the next. Choice never affects just one person alone. It goes on and on and the effect goes out into geography and history. You are part of history and your choices become part of history. How have you felt the presence of God in your life..? They can’t stand to see us SHINE… so SHINE bright for all of us to see. While any people say that today is not the exact day of the birth of Christ, the whole world celebrates today as the birth of Christ, well those that havent forgotten the reason for today that is. 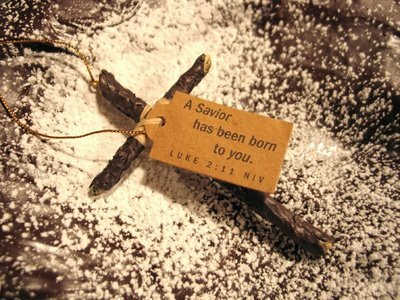 So today I would like to take the time to thank God for giving us the best christmas present ever his son Jesus Christ, Happy birthday Jesus, thank you for your gift to us… YOUR LIFE. I love you with all my heart and strive to do your will. I thought instead of doing a whole new post I would just comment on this one, while for most of you Christmas is just starting mine is coming to an end, this christmas was different than most, I felt different, I went to church and the presence of God was so amazing, I then went and did something I have never done before, and it was a humbling experience, if I could do it every day I would. One thing I can say for sure is that – As Louie Giglio Puts it God is INDESCRIBABLE there are NO words that can describe Jesus and how AWESOME he is and how MUCH I love him. Next Next post: Santa has the same wrapping paper as us.